IBM Group real estate portfolio represents one of the world’s largest operational real estate portfolios. This role will directly influence defined business share of portfolio value, asset base (net book value), Operating and Capital Expenditures (includes major projects), planned investment / acquisition activity, and planned divestment activity. IBM Group has approximately 78 Million square feet of real estate globally dispersed to support Business activity. Value is created for IBM in advance planning of the real estate needs and project risk is reduced. Real Estate needs to be aligned with the Businesses (including business development and project development teams) to ensure needs are met, costs are controlled, and value is created. IBM is hiring a Customer Relationship Program Manager to lead a team of Customer Relationship Managers to align corporate, business and functional strategies. Translates strategy, in partnership with the Real Estate Strategy (RESO) Strategy & Implementation team, into strategic real estate portfolio planning initiatives and deliverables. Lead team of client-facing CRM’s to align Enterprise strategy, business strategy and real estate strategy and solutions. Foster effective relationships with and engage key business leaders to understand business strategies, drivers, and requirements. Develop, in partnership with the Businesses and RESO Strategy & Implementation team, robust strategic plan(s) to optimize the portfolio through portfolio rationalization, location and co-location strategies, and workplace transformation initiatives. Identify opportunities to drive cash value added Business and Functional synergies, increase portfolio and operating efficiencies, decrease operating costs, and provide an enhanced, dynamic and functional real estate environment. Manage annual client occupancy cost budgets and capital planning process in conjunction with the Directors of Real Estate Strategy & Implementation and Finance, respectively, to ensure efficient and effective use of capital. Prepare and present business cases to the governance and executive committees as required. Real Estate Strategy and Operations (RESO) is the IBM function responsible for defining and implementing real estate policies and strategy, program delivery in services in the areas of property, real estate projects, facilities management. RESO should deliver a top-quartile location footprint. 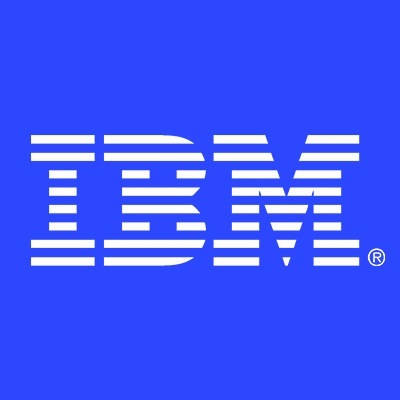 RESO partners IBM Businesses to develop business and regional portfolio property portfolio plans and to manage the complex program of consolidation, co-location, and conformance to IBM workplace design standards. RESO manages 1,400 locations comprising 78 million square feet of office, data center, manufacturing, development and lab space throughout the Group supporting 380,000+ FTEs. RESO also manages the category strategies and all major contracts for all third-party spend in these areas. 10+ years of business and/or real estate strategy experience. 7+ years experience managing people. Exceptional business partnering skills and communication skills, both written and verbal. Strong experience of enterprise centered approach and aligning enterprise, business, and functional strategies. Experience in matching business strategies and plans with the development of real estate solutions. Ability to envision optimal business and real estate outcomes by breaking apart complexity and replacing it with straightforward, best-in-class solutions that drive Businesses’ bottom line. Strong business case rationalization and financial acumen. Articulate, analytical, technical, and critical thinking skills to manage and influence team members, consultants, suppliers, and stakeholders at the highest levels including the c-suite. Strong experience of working globally and virtually across multiple stakeholders. Professional with a high level of Real Estate business expertise.